The process for obtaining veteran’s benefits can be daunting. This is a disappointing and often overwhelming reality for those who are left to deal with this after already experiencing the loss of a loved one. The good news is that you do not have to go through this alone. My name is Rose M. Mock, and I am a certified attorney with the Department of Veterans Affairs and work to make sure veterans and their families in Ohio have the guidance they need to secure the benefits they deserve. The Financial Support You Need. A Lawyer You Can Trust. As an elder law attorney and clinical social worker, I understand the strain that many families are under to make ends meet. This can be exacerbated by the realities of aging, such as increased health care costs and the need for long-term care. I strive to reduce this burden for military veterans and spouses by obtaining benefits such as pension benefits, aid and attendance benefits, or disability benefits. You can rely on me to work with the Department of Veterans Affairs (VA) to make sure your case is handled as efficiently as possible. From helping locate the original discharge papers to handling any necessary appeals, I will take care of all your legal issues. I will be available at all times to answer your questions and make sure you are comfortable with the process. I genuinely care about my clients and look forward to helping protect your quality of life. At your initial consultation, I can explain the options available to you and identify the benefits you qualify for. 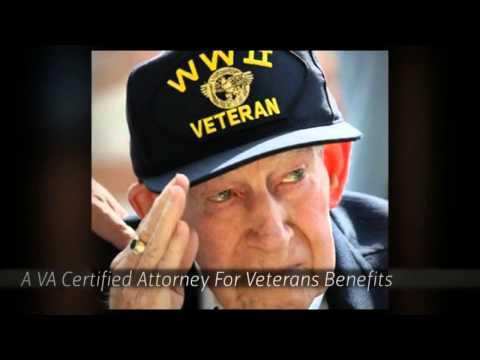 Contact my Toledo firm anytime day or night to discuss your veteran’s benefits issues.